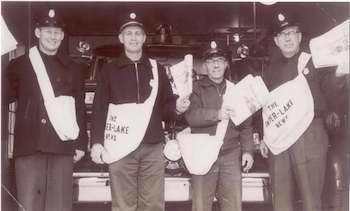 In honor of the retirement of Fire Chief Jay Wiseman, Local Stew is taking a look back at the early history of the West Bloomfield Fire Department courtesy of the Greater West Bloomfield Historical Society. Originally called the Keego Firemans Club, the West Bloomfield Fire Department was organized in 1923 with 15 volunteer firefighters, mostly businessmen from Keego Harbor. The first fire station, donated by a local judge, was housed in an old garage on Orchard Lake Road, now the site of the Keego Hardware parking lot. 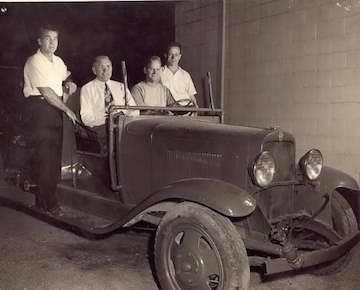 The first paid firefighter received $1.00 per night in 1931 to spend the night at the fire station and keep the fire truck clean and ready to go. In 1939 the Township built a new fire station in Keego Harbor where most of the population was centered. The Michigan State Police set up their headquarters in the upstairs, answered the fire phone and set off the siren for firefighters. In 1968 the communities of Keego Harbor, Sylvan Lake and Orchard Lake formed their own fire department, known as the Tri-City Fire Department.